1. 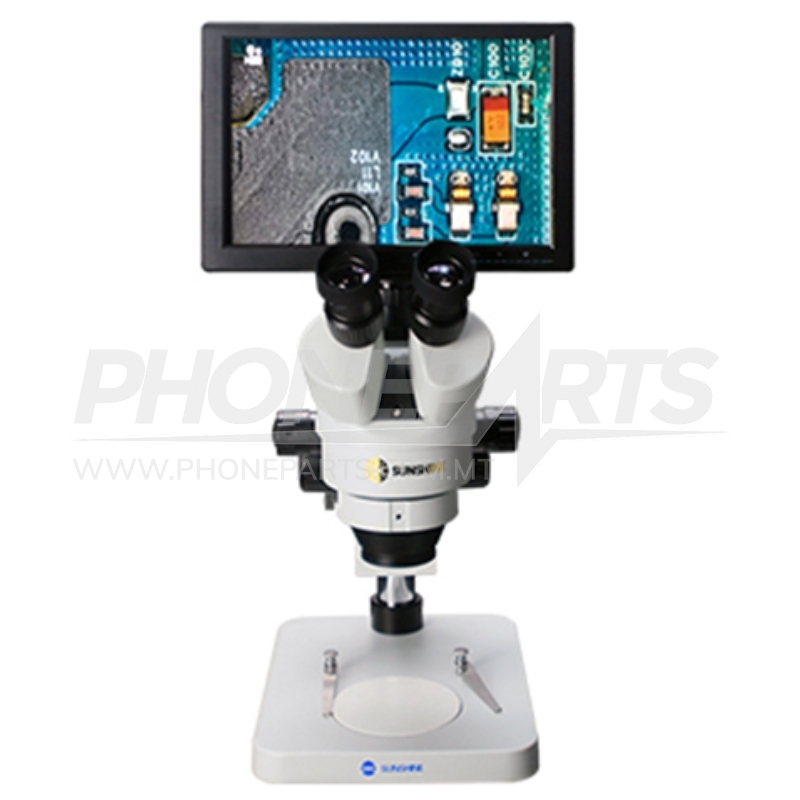 Innovative camera and screen integrated design, more convenient, more space-saving. 2. 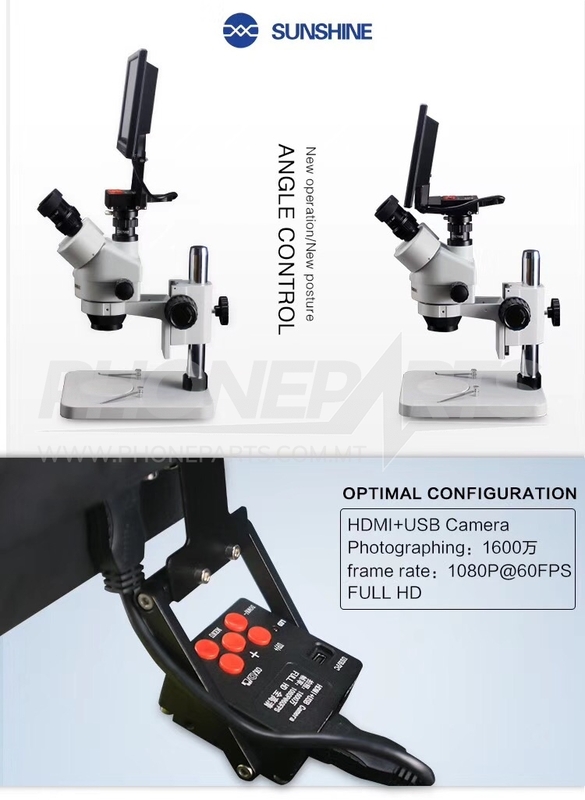 1600W HDMI microscope, rimaging more clear. 3. 1080P high-definition wide-angle display, with multi-angle display monitor does not change the advantage. 4. Double pivot 180 adjustable bracket. 5. 0.5 CTV configuration, wider visual range. 6. 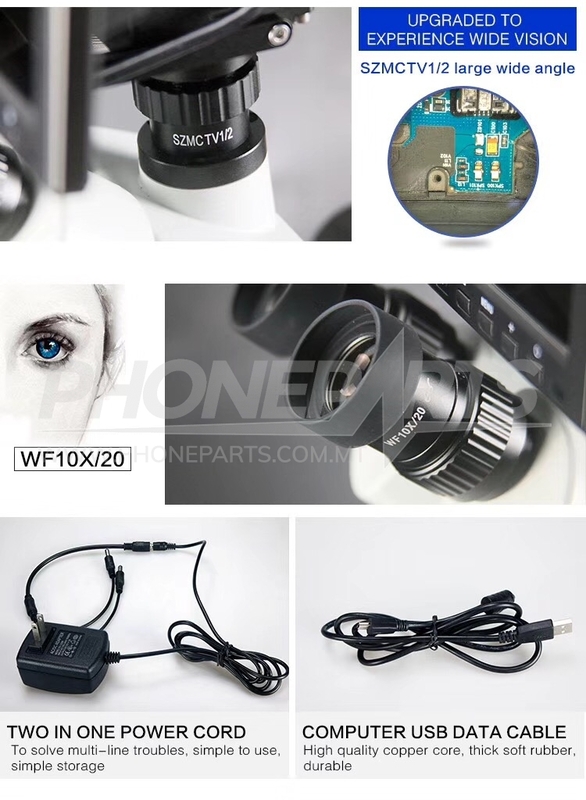 Two-in-one power cord, connecting the camera and the microscope at the same time, to solve the problem of power line scattered. Air gun on the shelf can be rotated 360 degree, easy operate. Plate using metal, sturdy and beautiful. Is the perfect companion for hot air gun!